I love this next sponsor. 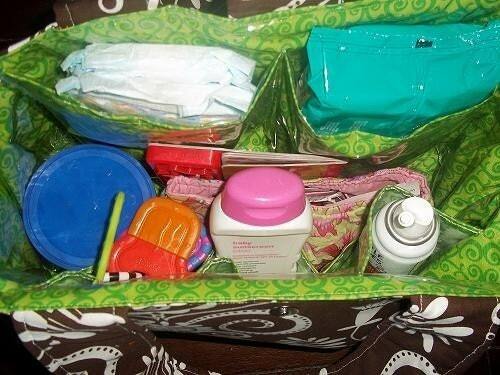 We have a lot of diapers and covers and leg warmers for this event, but this is the ONLY diaper bag! 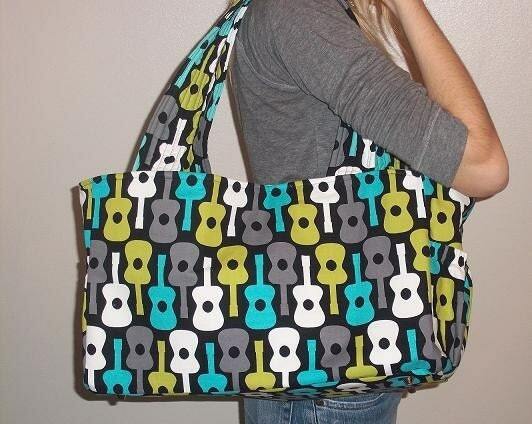 Trouser makes custom diaper bags. 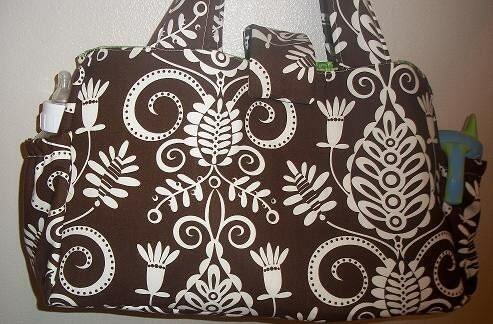 She uses the same pattern, but let's you choose your two fabrics of choice and then makes it for you. These are BIG bags. I have one on the way and I can't wait to see it and use it. I will use mine for going to the beach, zoo, or just a long day out somewhere. I can't wait! OR #48 Here with a solid green! I can't wait to get my bag!!!! AS far as I can tell they seem to be very durable bags. She has 100% positive feedback so they must be nice! She has 53 bags listed on her Etsy store. Some are duplicates, but I'd say she has at least 30 different bags. Lots to choose from. Also has Pants/Shorts, shoes and some other stuff. 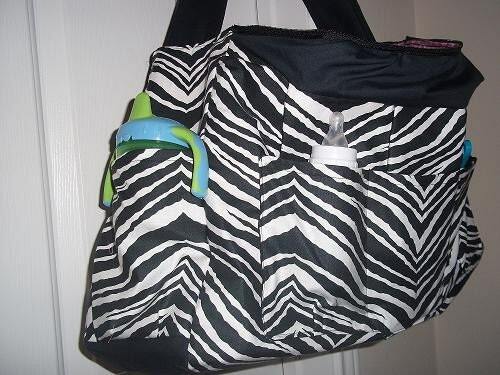 Price: Her Diaper bags are $60. Not bad. You pay that in the store, why not buy one from a mother who knows what you need in a bag. For a Merry Fluffy Christmas Trouser is giving away A custom Diaper bag in the colors of your choice. You will have the same turn around as her regular customers.